Vacuum Rental: $20 per day. *Prices vary depending on model, condition and parts charges. We supply parts and repair expertise for most sewing machines and vacuum cleaners. No job is too big or too small. We provide sharpening services for all types of scissors including styling scissors. We sharpen most knives, yard and garden tools, mower blades and paper cutters. airflow. Change the vacuum bag or filter at the same time. vacuum cleaner is a "vacuum cleaner or vacuum dirtier". NOTE: Ask your dealer about vacuum cleaners that don't require belt changes. The Cost of Vacuum Cleaner Repair: $ ? A Vacuum Cleaner Tune-Up is valuable maintenance but it will not entirely prevent repair incidents. Running over a cord, chewing up the insulation, is a repair that may require a cord replacement. A Broken pile selector, broken handle release lever, broken handle, broken wheels, worn bag assembly, worn dirt cup seals, damaged brush roll housing, broken motor fan, obstructions in the fill tube (clogged hoses), broken cord reels and damaged circuit boards are all examples of failures that may result in a repair expense. Replacing worn parts will extend the life of your vacuum cleaner but it will not guarantee it to have a "new life". The dealer can repair what's needed and will supply a guarantee on the parts replaced and the work needed to make that repair. Normally, a Tune-Up is performed during this process. It is always important that you get a firm estimate from your dealer prior to the repair being completed. The estimate is a time consuming process and requires the dealer to find a solution without actually making the repair. An experienced dealer will have a good idea what the solutions are. He can give you a price range and he will require your approval before he proceeds. Now that you know the approximate cost of the repair, you may want to ask the dealers' opinion regarding the value of the repair versus replacing the vacuum cleaner with a new one. The dealer will give you an honest evaluation of making an investment in the repair and can supply you with a Trade-In value should you decide that maybe you'd like something new. Keep in mind, the Trade-In value will reflect the resale value with the dealer footing the cost for refurbishing plus the dealer must supply the new owner with a guarantee of some type. Napa Sew & Vac offers a 90 day warranty on your repair plus we will provide a 30 day grace period during which time you can return your repaired vacuum cleaner and receive your repair cost plus an additional $10 trade-in credit toward your new machine purchase. Napa Sew & Vac offers a 30 day money back guarantee and free 90 days same as cash financing available. We take visa, mastercard, american express and debit cards. Financing by American General. Serger Tune-Ups involve an analysis of the thread and fabric handling mechanisms and tension assemblies. It includes an air cleaning of head interior, exterior and tension cleaning. Serger stitch quality is examined, skipping or dropping stitches and breaking thread. The tune-up procedure includes threading and a sewing performance test. Machine problems are assessed, like damaged needle plates, broken or blemished looper, angular position of upper and lower loopers, looper and feed timing. Parts replacement charges are assessed and supplied to the customer prior to replacement unless the customer has already approved. Additional charges are levied for timing adjustment and looper or needle bar replacement and repair. A compelete estimated of peripheral labor charges will be supplied prior to repair, if not already approved. An additional $65 labor charge will be assessed should the machine require a chemical head cleaning. Commercial or Industrial Sewing machines are generally suffering from a break down. The machine is not sewing, skipping stitches, breaking thread or is sewing badly. This bench charge enables the mechanic to analyze the condition and make corrections to eliminate the problem. Damaged or missing parts are assessed and charged if installed, pending customer approval. If major repair is required, like changing a timing belt or replacing a hook, a repair estimate will be produced and the repair will not be complete without the customer's approval. On-Site service is preferred for customers not able to extract the head and bring it to the shop for repair. We have accommodating service that brings the mechanic to the machine. Many problems are solved with the On-site visit and $129.95 is collected for this service. If the problem cannot be solved with the On-Site minimum call charge, the machine is extracted and an additional $169.95 shop bench charge is assessed. If the shop bench charge won't cover required repairs needed, an estimate is produced and the customer is called for approval prior to the repair being performed. Service includes complete diagnostics, delinting, air cleaning, inspection and adjustment of all thread and fabric handling mechanisms, upper and lower tension adjustments, belt, bobbin winder and clutch adjustments, oil, lubrication and electrical inspection. If additional repair is required, a detailed estimate will be prepared for no extra charge. Oil viscosity diminishes over time leaving behind a gummy tar like residue. A chemical head cleaning removes residual tarnish restoring bushings to "like new". Needle bars, hand wheels, motors and bobbin winders are common victims of "oil gum-up". A machine can literally "freeze-up" as a result of oil coagulation. These oil solids can be dissolved using a detergent solution or solvent. Many machines suffer from symptoms and can easily be diagnosed. This problem is common with specific models and can be easily ascertained by an experienced technician. By assessing a "flat" charge, it enables the mechanic to effectively implement the cleaning procedure during the tune-up process. This service is only combined with a tune-up service and not available as an independent service. 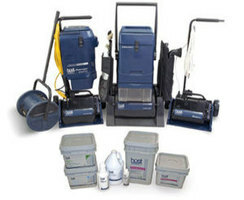 The home service is designed for customers who can't or do not want to remove the sewing machine for repair or service. We make many home service calls and can solve many problems without having to bring the into the shop. When deeper repair is needed, we will remove the head or return the entire unit for a shop visit. A shop visit repair estimate will be produced prior to removing the machine. We generally recommend a shop visit for machines requiring a deep cleaning, gear changes or rewiring. 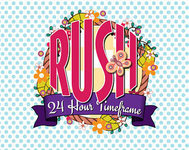 ANYONE CAN REQUEST A "RUSH". Service by Appointment, "Service While-U-Wait" or "Same Day Service" is available for a $10.50 "RUSH" charge, depending on staffing and store traffic. The "RUSH" fee is added to the flat rate service charge or added to the repair estimate as an additional charge. The service will be completed within time frame agreed unless needed parts are not available. In such cases, a repair estimate will be produced and the rush fee will not be levied. We became acquainted with HOST while confronting problems and complaints about wet extraction cleaning methods. While attending a sewing machine seminar at the Emeryville Hyatt, we were taking a break and observed this system being used by the maintenance staff. Our inquiry led to our own HOST distributorship. The process is simple, there are no chemicals to mix. The HOST cleaning material comes in a sealed foil pouch. It is slightly moist material, saturated with a specially formulated cleaning solution. The product is made by Racine Industries in Racine WI. They use a material contrived from a ground corn husk which carries the cleaning material through the carpet pile using a machine resembling a pile lifter. As the brushes spin, it spreads HOST through the carpet. Acting like tiny little sponges, it absorbs dirt and residue. Upon completion, the HOST is removed by vacuuming. The carpet is dry and ready to use. Any material left behind by the initial vacuuming will be removed by subsequent vacuuming. This system is effective on most spots and can be used with a spotting brush for intermittent maintenance. HOST is completely safe and biodegradable.